Why Greenland Is Not That Green And Iceland Not That Icy? It is quite interesting to observe the fact that most of the terrain of Greenland is not that green and, likewise, that most of Iceland isn’t as ice capped as Greenland. But if Greenland is not that green and Iceland is not that icy, how come they ended up named so? Picturesque waterfall at Þingvellir (Thingvellir) National Park in southwestern Iceland. Putting aside some of the common memes that have been circulating on the internet for some time, there’s a historical explanation for their names that dates back to the early Middle Ages, since both were colonised by the Norsemen during the tumultuous Viking Age. 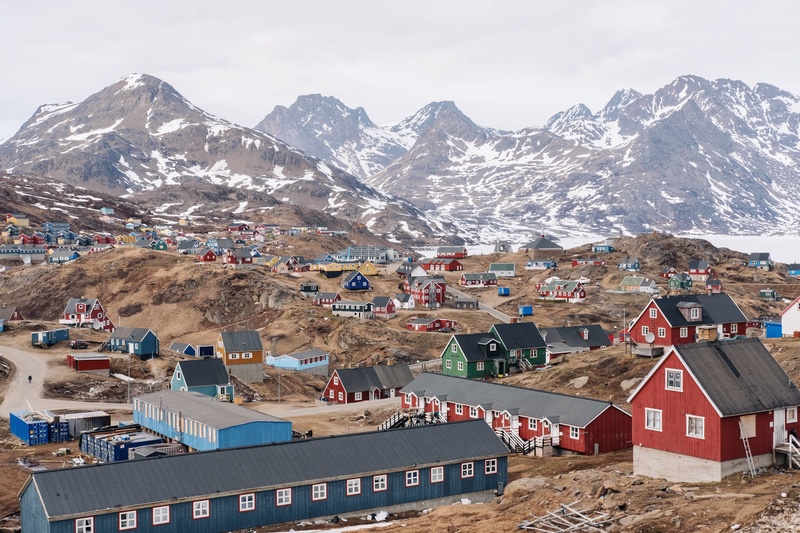 Panoramic view of the small town of Tasiilaq in southeastern Greenland. Note the snow covered mountains in the distance. Because of a number of reasons, the inhabitants of Scandinavia sailed across the North Atlantic Ocean during the timeline in European medieval history known as the Viking Age in order to trade, settle, and explore. Throughout their voyages, they had also spotted these two territories. 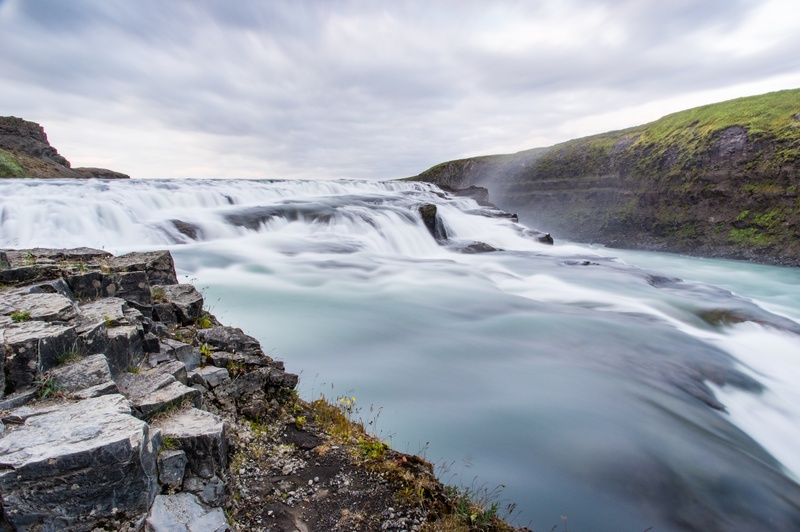 How Iceland got its name? Before being called Iceland, this Nordic country has had other names as well. But, probably more important than that, the discovery of Iceland itself by the Norsemen was, at first, an accident. Also, Irish and Scottish hermit monks were already present there prior to the arrival of the Norsemen. Furthermore, the common Norse-Gaelic cultural heritage is evident while the Icelanders are concerned, given the fact that the Norsemen brought Celtic-speaking thralls from the British Isles when they settled Iceland, which has also been highlighted by subsequent genetic studies. Kirkjufellsfoss waterfall on Snæfellsnes peninsula, West Region, Iceland. 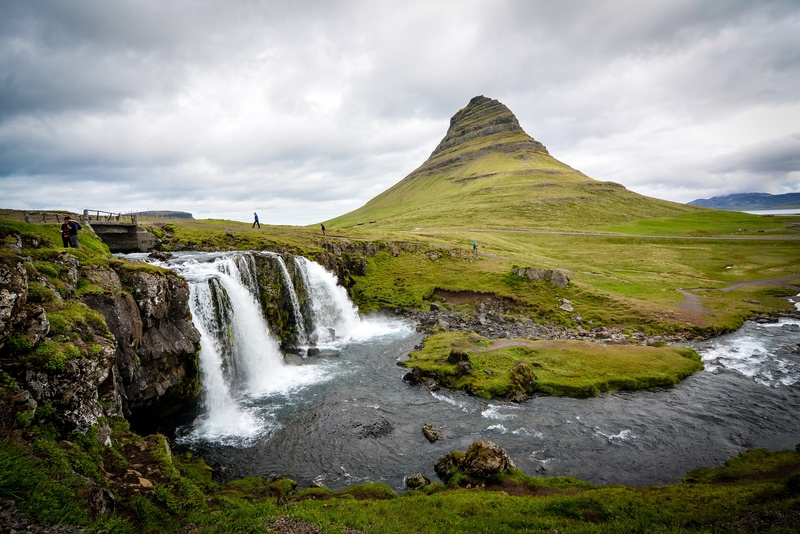 The first Norse explorer to have discovered Iceland was Naddodd, who was actually blown off course from Viking Age Norway to the Faroe Islands, being thus the first Scandinavian to have set foot on Icelandic soil. He named it ‘Snæland’ meaning ‘the land of snow’. When he returned to Norway, he started spreading news about a land located northward of the Faroese archipelago. Upon hearing these rumours, a Swedish Viking by the name Garðarr Svávarsson sailed to Iceland and encircled its coastlines in order to prove that it was an island. After he had finished his voyage, he returned to Norway and told the others that he had noticed it being ‘wooden from mountains to the sea’. He then changed its name to ‘Garðarshólmi’ after himself. 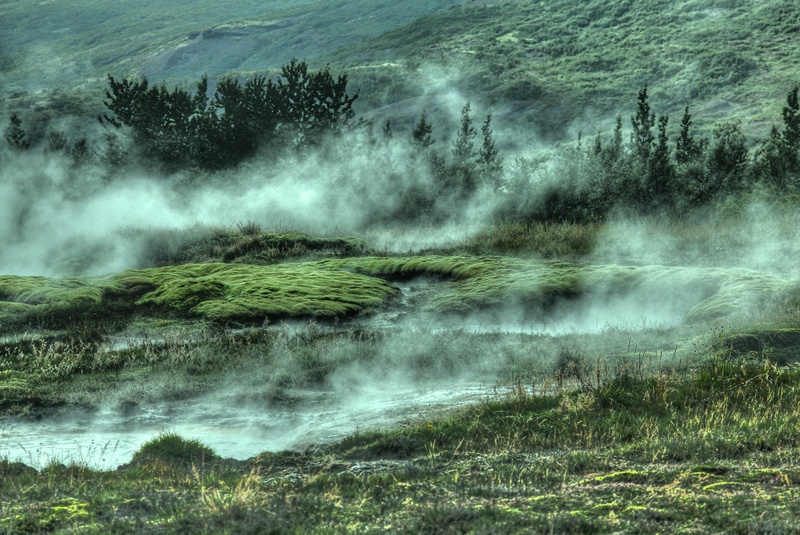 Mesmerising green landscape near Strokkur geyser, Selfoss, soutwestern Iceland. Yet the first known explorer who established the first colony in Iceland, paving thus the way for the subsequent permanent Norse settlement of the island, was Flóki Vilgerðarson (also known by his legendary nickname ‘Raven’ Floki’, as he used three ravens to guide him and his crew passage to the island), who went on in a quest for Svávarsson’s land during the 860s. It was him who gave it the name ‘Ísland’ (literally Iceland), after camping a winter at Barðarsströnd (i.e. ‘Barðars’s beach’) in northwestern Iceland. Nonetheless, because all of his sheep did not survive and since he couldn’t have seen anything but snow when he climbed up a nearby mountain, when he returned to Norway he had little good to report about his voyage. However, the surviving members of his crew spread good rumours and encouraged potential convoys to set sail on purpose in order to colonise the respective area and other habitable coastal parts of the island. 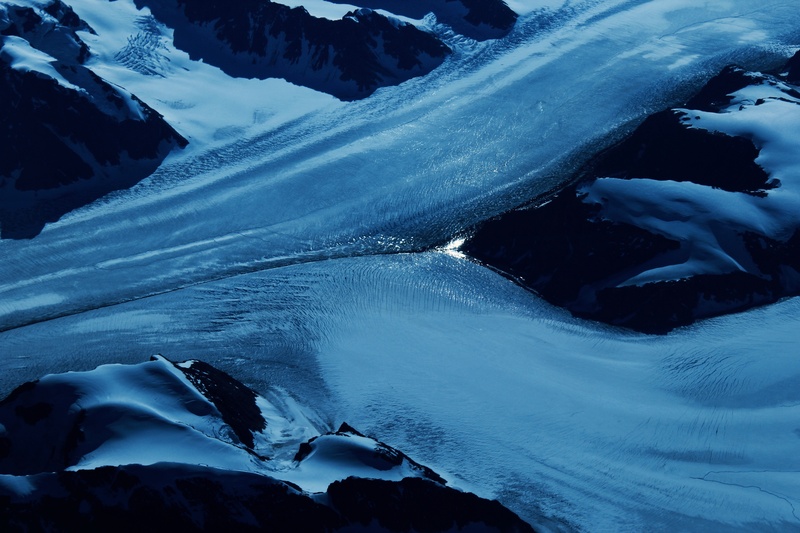 How Greenland got its name? Greenland was discovered by the Norsemen relatively shortly after Iceland. Erik the Red, a reputed Norwegian Viking who was exiled from both Norway and Iceland for murder, discovered Greenland and named it ‘Grænland’ in Old Norse in order to encourage potential colonists to settle down (in stark contrast to the case of Flóki and Iceland). Elevated view of a quite common frozen Greenlandic scenery. 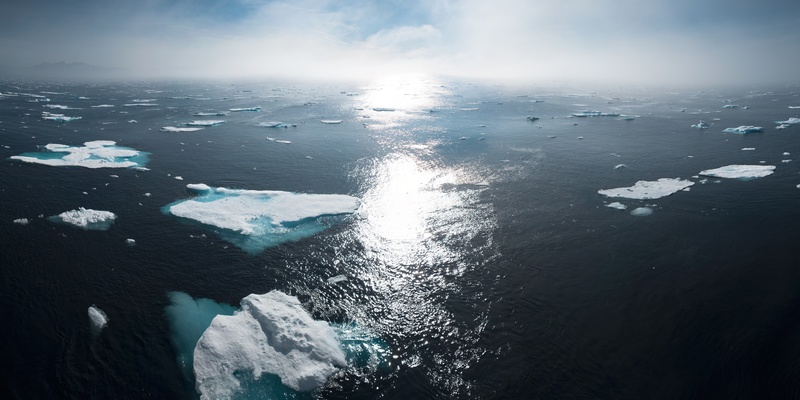 Erik the Red landed on the southeastern coast of Greenland (which was, and to some extent still is, ‘greener’ compared to as much as 80% of the ice capped Arctic island), settling the area with his crew in the process. In the wake of time, it remains a mystery what happened to the Greenlandic Vikings. As such, it’s safe to conclude that Greenland and Iceland got themselves quite some undeserved names, judging on the grounds of the geographic reality, but today there’s virtually speaking no chance at switching them. How do we really know they were named so and not otherwise? Because it was all written down in the Icelandic sagas. Iceland is an independent republic since June, 1944 (being previously under Danish suzerainty since 1814), while Greenland is still an autonomous territory of the Danish Realm, despite the United States trying to buy it from Denmark in 1946. Glaciers floating off the coast of Greenland.